Just when you think you will never find Schnitzel, never mind eat some, suddenly you discover Schnitzel multiplies like rabbits and you will be eating every stinking single day until you speak fluent German. Or so it seemed. The happy band of Muppets continued our way past the Rhineland and gorgeous Bacharat to find our way into the famed Black Forest. Home of Black Forest Cherry Cake and Cuckcoo Clocks. What struck us was how very similar the landscape was to parts of Canada. Trees, hills, rivers etc seemed very familiar. The only difference being that Canada is on steroids in comparison. 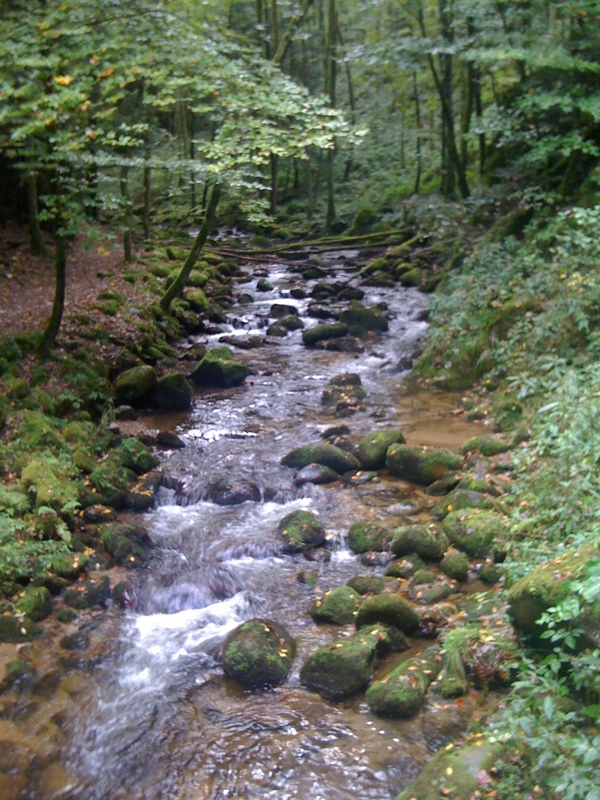 The German Black Forest was lush, fragrant and so very relaxing. It was a breathtaking portion of our holiday. Our trusty guide Phoebe the GPS, led us over hills around bends to discover little pockets of gems waiting to be discovered. 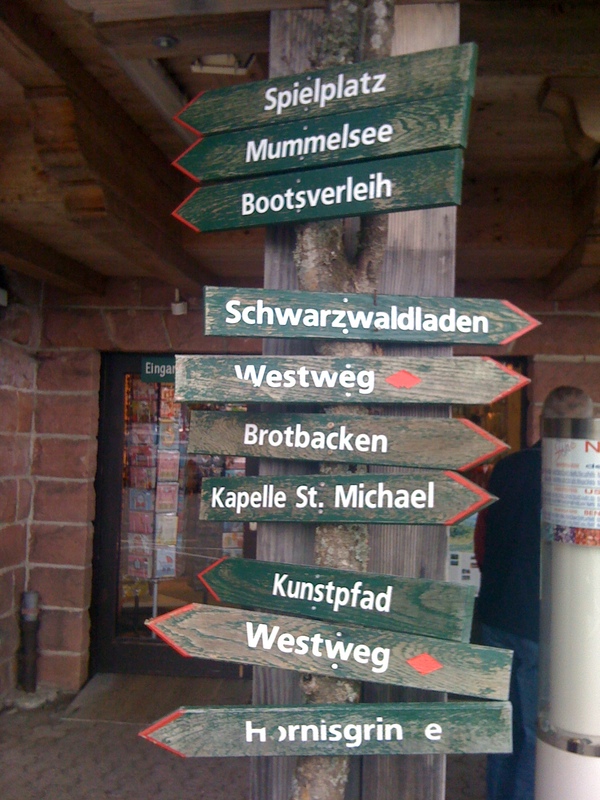 At one point, we reached the pinnacle and lo and behold, SOUVENIR SHOPS! All the Muppets Cheered and yelled to the driver STOP! They burst from the door, ran down the street to find a shop filled with cuckcoo clocks, walking sticks, beer steins spoons. There was a deli filled with various sausages but not one piece of schnitzel was to be found. The disappointed mounted among the elder crew of the Muppets, while the younger ones were hoping for burgers and pizza. After a spending frenzy and many pictures sporting various hats, we trot back to the caravan to our destination of Freudenstadt. We found parking among the tiny little streets suitable for donkey carts. Off we went to explore some more. We past bakeries and purchased pretzels, we found an Italian Gelato shop and bought ice cream but after searching in vain, no Schnitzel was to be found. It was interesting strolling along the tiny streets. We saw the Evangelical Lutheran Church, with its green tower roofs, is on the south side of the market place. 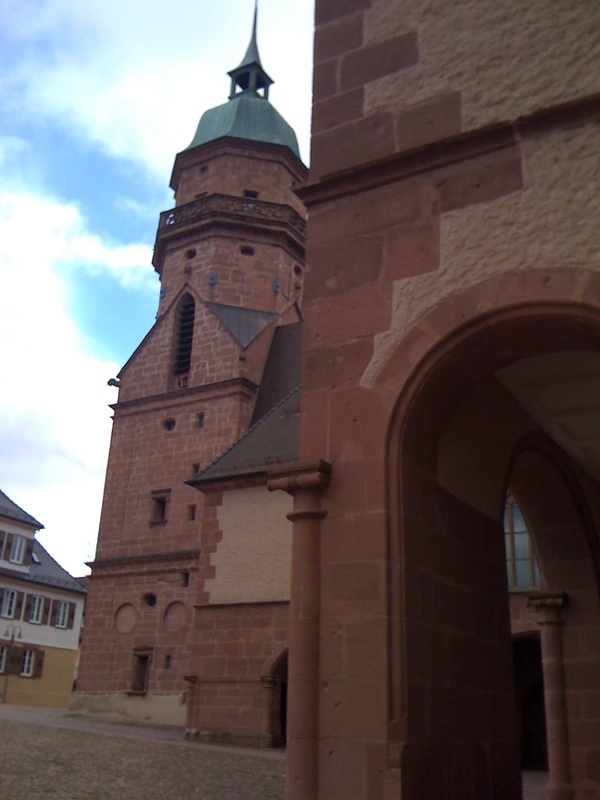 It dates back to the beginning of the 17th century, built between 1601 and 1608, and is considered Freudenstadt’s most significant building. It was built in the gothic renaissance style. It’s facade was littered with bullet markings from WWII. I could easily envision men fighting in the streets that would cause such markings. We saw Drag Queens and Elderly ladies visiting together in the street. The shops were very modern much to our disappointment. I suppose urban progress visits everywhere eventually. After our stroll through the town square, we found ourselves back at the caravan, needing to find a spot early for camping. We needed time for laundry, and it was early enough we could get started. Down the road a ways, we discovered a gem of a place. It was the loveliest spot of the entire trip. 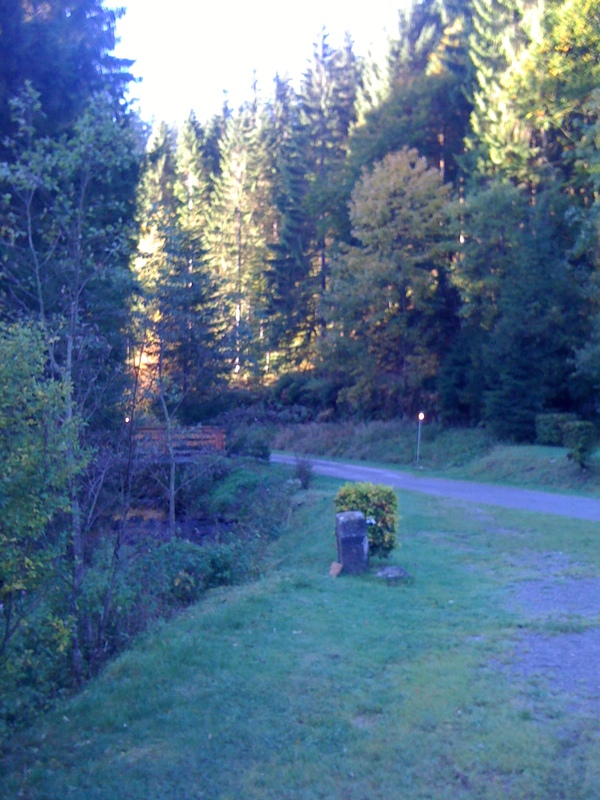 Natur Camping Langenwald had everything we needed, including the nicest hosts you could ever dream or meeting. The best news of all, there was a quaint little cafe that served – wait for it – SCHNITZEL! We were dining out that night! We each ordered a plate of Schnitzel, slightly disappointing that no Spatzel was to be found. Especially hearing my sister rave about it from her prior visit only weeks before. It did not matter, out came the plates laden with Schitzel the size of the plate itself. We all looked at it and thought, we should have shared. We ate what we could, and wrap the rest up to take back for sandwiches the next day. Little did we realize that we would be blessed with Schnitzel sandwiches for the rest of our trip. What was so delicious the first night, and quite tasty the second night, became tedious the rest of the days. Be careful what you wish for. At this point, I couldn’t wait for Paris and street food consisting of crepes and lemon. But that is a story for another time. 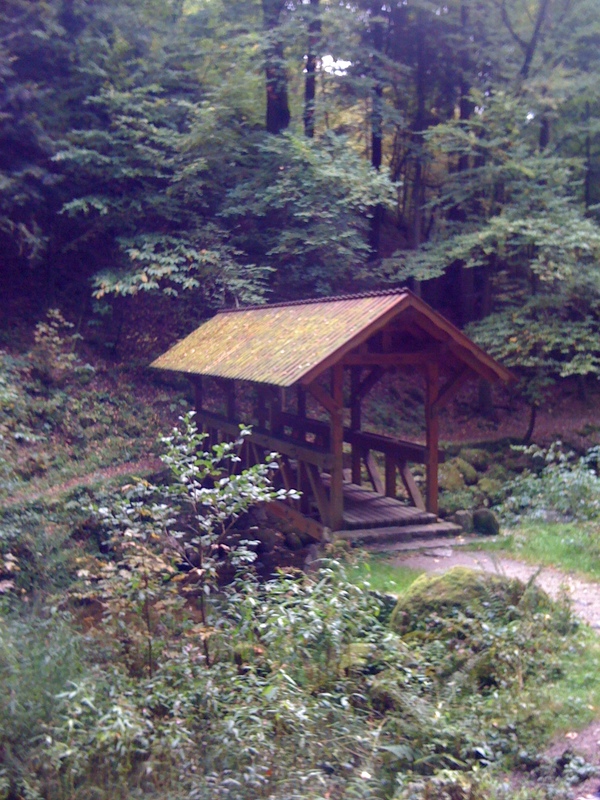 Nice photo’s of the Black Forest. I have some great shots from the region around Dortmund. One was of particular interest. I found this spot with a beautiful view of the hills and valleys in the region. I took a few pictures and thought nothing else of it. I showed the pictures to a German friend and he told me that the picture was of a Gallows and the little plaque said that the last person to die on the gallows we a Gypsy who was hung for stealing a chicken. The year was 1896. Don’t tell me the Germans aren’t strict. And WHERE are the pictures of the Black Forest Cherry Cake?!? Hmmm? Those pictures look like they’re straight out of David the Gnome…I have expect Belle from Beauty and the Beast to come traipsing out. Happy holidays! Must admit- reading your post has made me very hungry for schnitzel. (In a white bread sandwich with lemon juice pouring out of it, and some tabasco). I can almost taste it. Yes, true – be careful what you wish for! Lovely post and gorgeous photos – I’ve never been to Germany but would love to. Am enjoying the armchair journey alongside you and your Muppet crew!